Dear Friends, God is blessing our ministry and we are growing and He is providing us with an opportunity to meet the financial needs of that growth. Please continue to read the below communication and pray about how you can help! Your Donation Can Grow by 50%! The San Marcos Church in Santiago, Chile has been supporting the House of Hope for many years. This year, San Marcos Church has once again challenged their congregation to donate towards the October work project at the House of Hope. In addition, the church itself will make a matching gift of 50% of all the members’ designated gifts received by October 30th! On top of that donation, the church will also make a matching gift of 50% of all gifts designated for the October work project made by everyone who donates – even those in the United States and any other country! SO, if you donate $1,000 by October 30th, San Marcos will donate $500! There is a cap of $5,000 from San Marcos. To reach this cap, we need $10,000 donated between now and October 30th. If you look at the pictures and the posts on the activities of the House of Hope, you will see that the “multipurpose field” is used for many varied activities. One day futbal (soccer) will be played. Later that day, it may be used for basketball; still later riding skate boards. That night could see a free neighborhood concert – from professional bands, opera singers or the House of Hope music students. There are three things about the field that are problems. During the summer, the sun is very bright and hot! This is the first problem. During the winter, the rains come. This is the second problem. At night, the sun sets and the field becomes dark. This is the third problem. The solution to the first two problems is to install a roof structure over the field. This will provide protection from both the sun and the rain. The third problem is solved by installing lighting on the new roof structure. The House of Hope is helping to serve approximately 900 hundred children from three different schools and two Hogars [ girls and boys homes ] on a monthly basis. We work with children and young adults, many coming to us from the streets of a very dangerous neighborhood. They are able to come to the House of Hope and learn to play a musical instrument or learn math or English as a second language and they are there to hear the Gospel of Jesus Christ. That Jesus loves them. If you are already supporting the House of Hope monthly, that support is still necessary! Please continue to send your normal monthly support! HOWEVER, whether you support the House of Hope monthly or not, we would like you to consider making a special gift designated “October Work Project.” Why not click on the Donate Button right now while you are thinking of it? You can be part of this ministry in La Pintana which is bringing hope to children, youth, teens, young people and entire families! We also need volunteers to travel to Chile to help with the various ministries. If it is just your family, come join one of our teams in October or March. If you want to bring an entire team, give us a call for details! Thanks to each of you for your prayers and support! 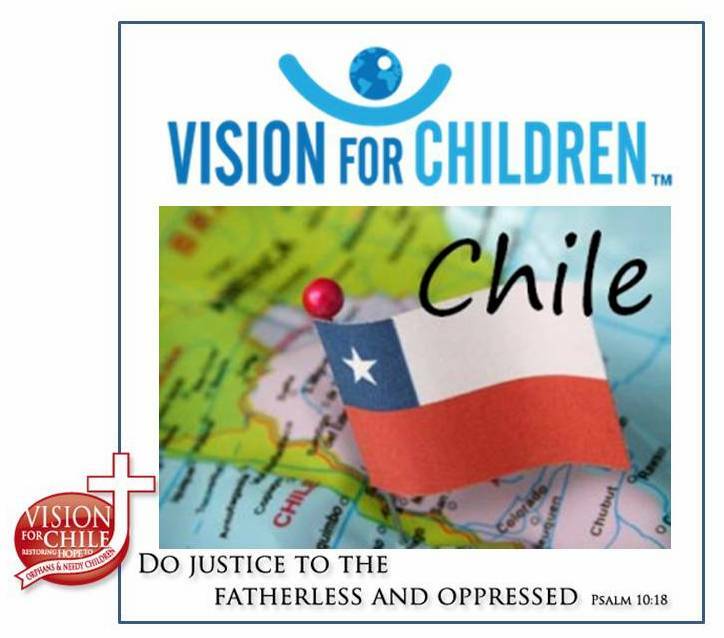 If you can help, please hit the Support Button and go to VisionforChildren.net and see how easy it is to donate to this opportunity to expand our ministry..God bless you !